Breguet’s emblematic “Tradition” collection is enriched this year with a model in 18-carat rose gold. This Grande Complication timepiece with fusee-type tourbillon and Breguet balance-spring in silicon joins the existing yellow gold and platinum models. Inspired by the legendary “souscription” watches created by A.-L. Breguet, this objet d’art symbolises both a return to roots and a resolutely future-oriented brand vision. Its pure, modern aesthetic sets the stage for the tourbillon and the fusee-and-chain transmission positioned on the top of the plate. This sculptural model highlights the contrasts and depth effects, thereby giving life to each component. 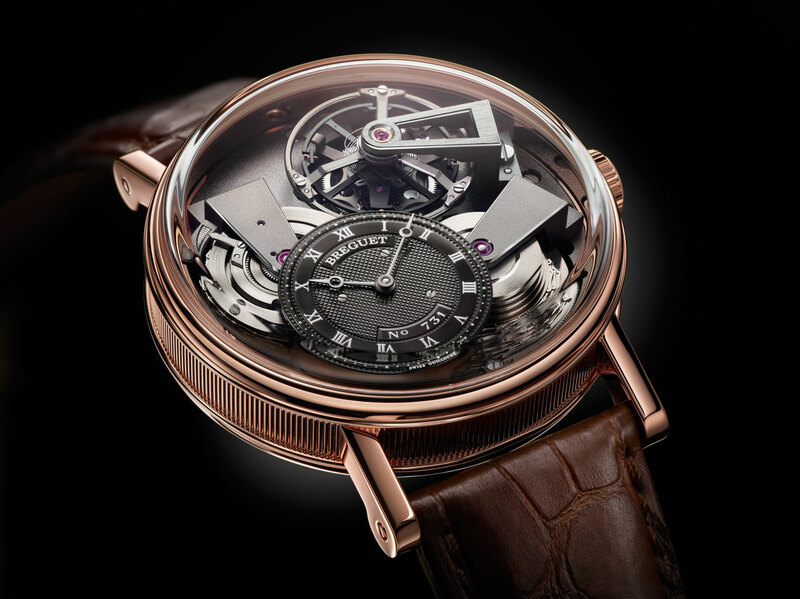 Four patents protect these technical accomplishments and symbolise Breguet’s watchmaking excellence.